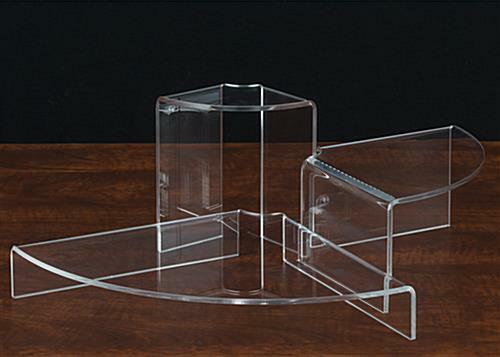 This nested step display in clear acrylic puts all of the focus on the item for sale or show. 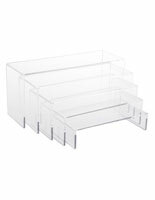 Triangular shelves like these are lightweight with a small footprint, which is great for travel, and the design keeps the focus on the merchandise. 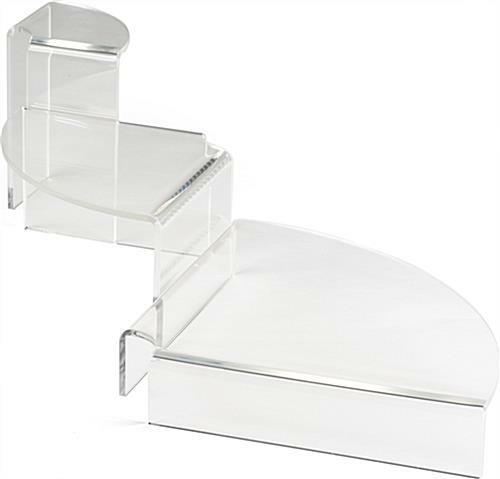 This tapered step display, also known as a riser set, allows varied items to be shown. 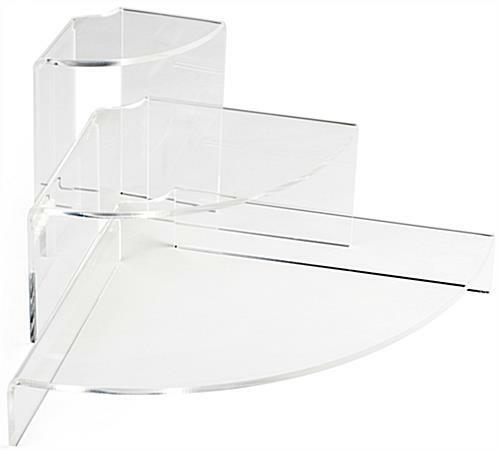 The thick plastic construction makes for a durable fixture that stands up to frequent use. 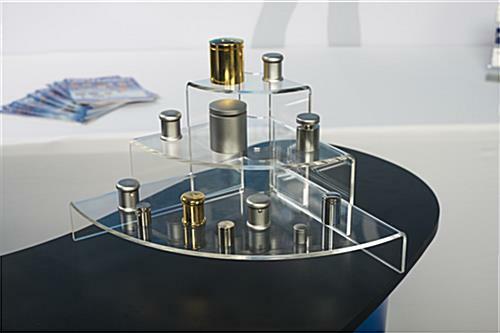 This display for tradeshow use can be arranged in a tiered or circular design depending on the items being showcased on the stands. 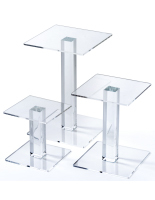 Risers are set 1.4375” apart so there is plenty of room for merchandise of varied heights. 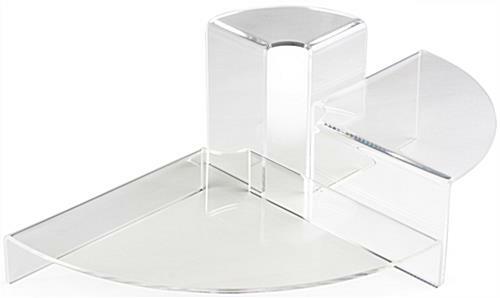 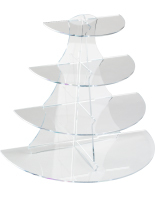 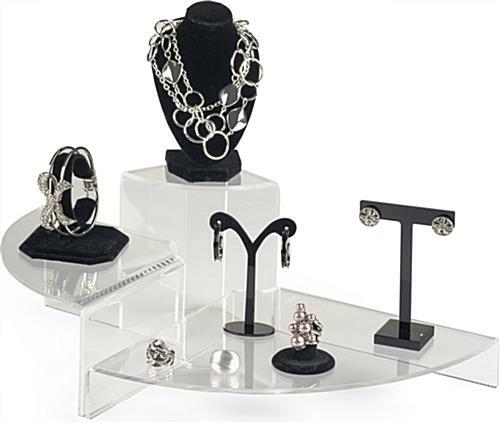 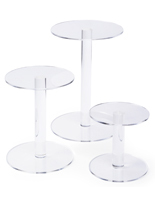 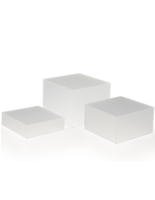 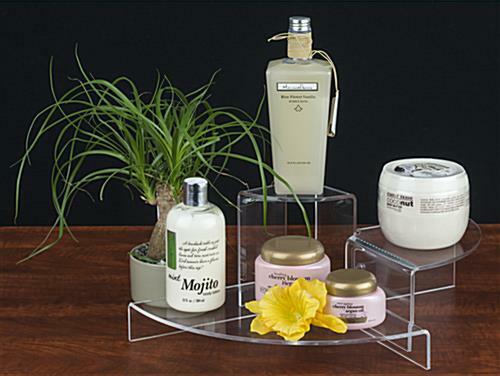 This nested set is an acrylic display which features 3 stands that provide multiple levels for displaying products. 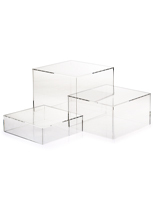 14.0" x 1.8" x 9.3"
9.8" x 4.0" x 6.3"
5.5" x 6.0" x 3.3"